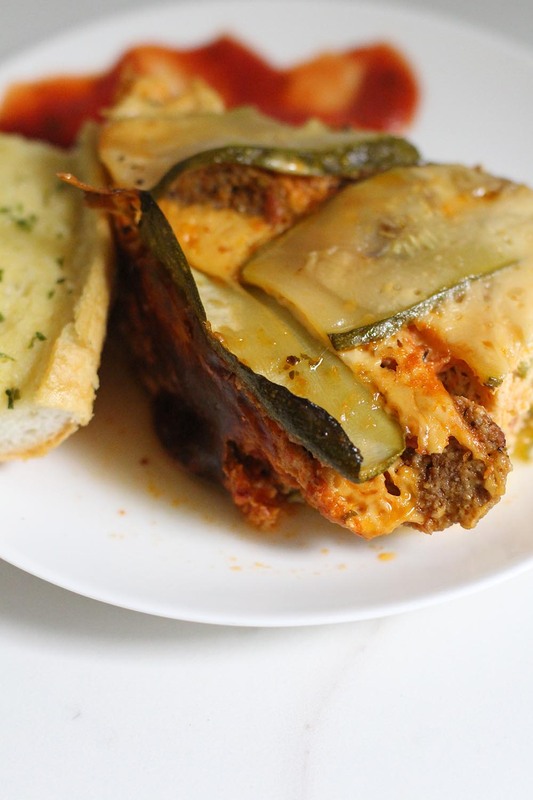 One of my favorite ways to eat zucchini is in slow cooker lasagna in place of noodles. Oh yum. 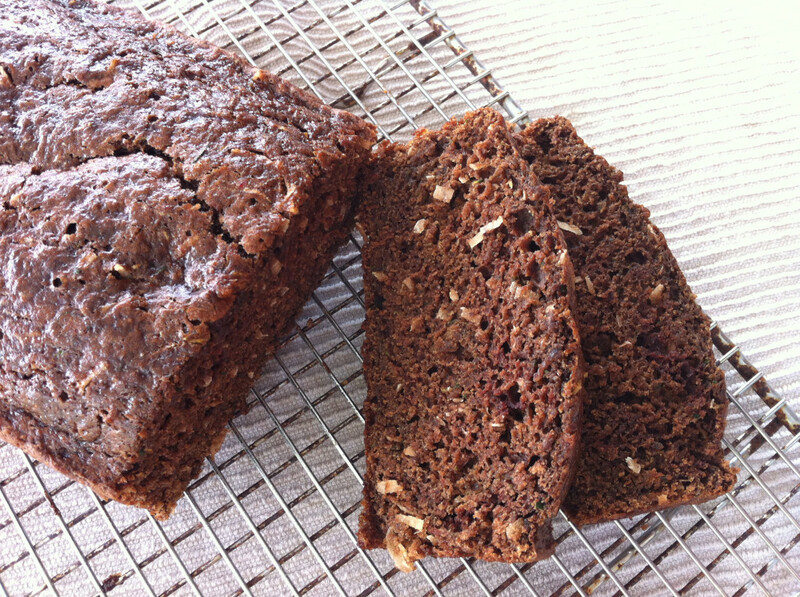 Here’s the recipe so you can make it too! Last summer, I shared my five favorite zucchini recipes and slow cooker zucchini “lasagna” was one of them. Replace the lasagna noodles with thinly sliced zucchini and you’re good to go. The biggest difference between zucchini lasagna and my favorite lasagna recipe is that I use a lot less sauce because the zucchini releases a lot of liquid while cooking. I also add meat to make the meal extra hearty. My husband and dad love that! Subbing zucchini for the noodles in this lasagna recipe makes the prep time super fast because you don’t have to boil any noodles. Yay! Create cheese filling by combining 1 cup mozzarella cheese, ricotta cheese, Parmesan cheese, eggs, parsley flakes, salt, and pepper. 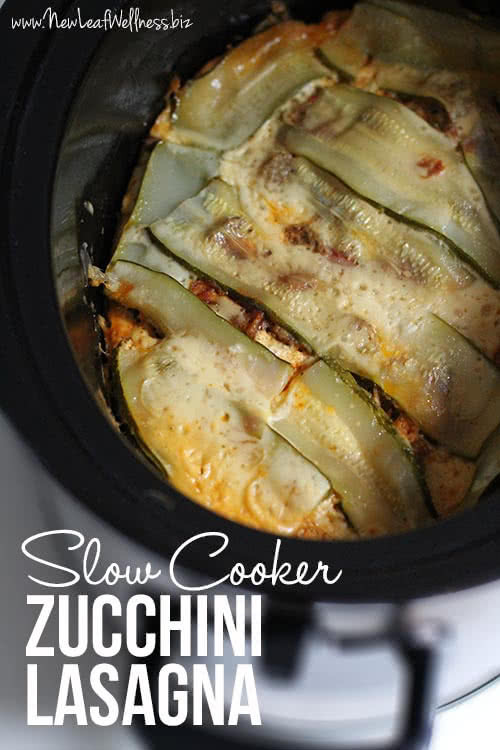 Top zucchini with a rounded 1/2 cup of cheese filling, 1 cup meat, and 1-3 tablespoons sauce. Before you add the top layer of zucchini, add whatever sauce, meat, and cheese you have left. Top with zucchini and remaining 1 cup of mozzarella cheese. Cover, and cook on low for 6-8 hours. Turn off slow cooker and let rest for at least 30 minutes, so juices become more set. This might defeat the purpose of using zucchini instead of noodles, but we like to eat ours with a big piece of crusty garlic bread! YUM. 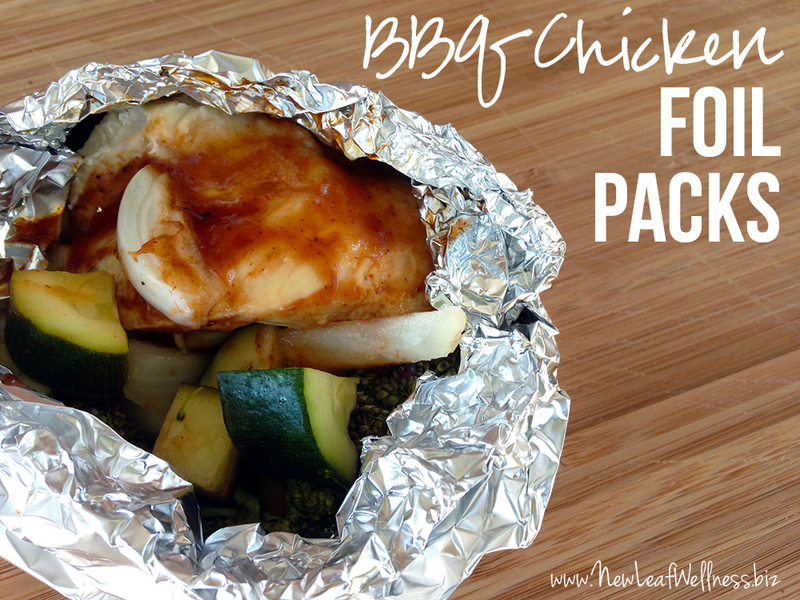 Looking for more summer slow cooker recipes? Check out my ‘Easy & Healthy Slow Cooker‘ cookbook! Every recipe inside is inspired by fresh, seasonal ingredients. 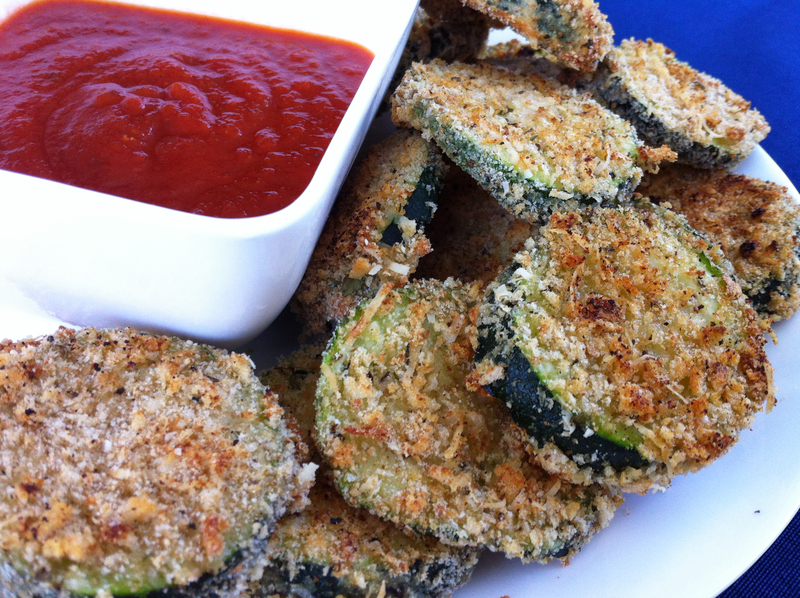 Here are some of my other favorite zucchini recipes, too. Have you ever made regular lasagna in your crockpot? It’s the only way I make it! You use dry noodles and start and end with a layer of sauce so the noodles are covered with it–that way they’re sure to cook through. I cook mine on low for about 4 hours. So good! I’ve never tried it, but it sounds amazing!! Thanks so much for the idea and tips! Does the ricotta go into the cheese mixture? Yes!! Whoops. Sorry about that. I’ll correct it! Can this recipe be frozen after cooking? I’m not sure. I’m a little bit nervous about how the zucchini would freeze and reheat. Please let me know if you try it out! Ahhhhh! i totally forgot to put in the ricotta! it’s listed in the ingredients but not the instructions! Oh no! I’m so sorry about that, Gale. I’ll update it now. How many servings are in this recipe? How many carbs per serving? Six servings. There are 12 carbs (including 2 dietary fiber and 7 sugars) in the meatless version, but I’m not sure how it changes when you add meat. 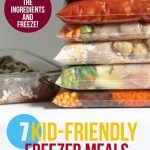 I only know the nutritional info for the vegetarian version because it’s in my Easy & Healthy Slow Cooker Cookbook, and I provide all of the nutritional info in my cookbooks. Unfortunately, I’m not able to calculate the nutritional info for all of the recipes that I share on my blog. 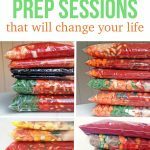 Is it okay if I prep at night and stick in the refrigerator until the morning?? I think so. I’m a little bit nervous about the consistency of the zucchini, but I think it will be OK.
How long and what temp do you bake if using oven? My guess would be 30-40 minutes at 350 degrees, but I haven’t made it that way in almost a year.